"Chrysostom sees human perfection not in physical body sculpting but in learning to control one’s animal desires. 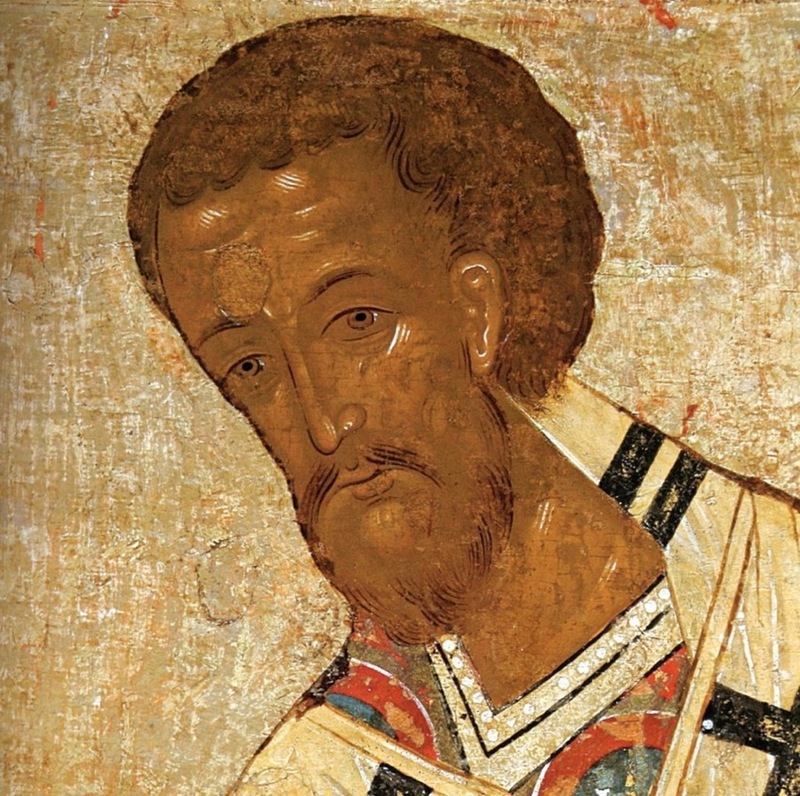 He elevates those spiritual athletes to be the highest degree of humanity and the most desired of human beings"
St. John Chrysostom (4th Century) is one of the great Patristic commentators on scripture. He is a pastor and moralist in his outlook. While today many embracing scientific materialism want it to be true that humans are simply another animal on the planet, governed completely by the same laws of genetics and biology as any other animal, Chrysostom like all those Patristic writers of the Christian tradition believed the very thing that made humans unique is the ability to arise above purely animal drives and to choose behaviors of a higher moral character rather than have one’s life determined by biological drives. With the recent proclamation of the Anthropocene by current scientists, we start to see a scientific recognition that humans are an animal capable of rising above genetic determinism to the point that humans now are shaping not only human evolution by their choices but also the evolution of most species on the planet. Chrysostom knew nothing of modern scientific theories on evolution and genetics, but he did think humans have a spiritual dimension given by God which humans needed to exercise in order to attain full human potential. And having engaged the battle against the spiritual powers, they contend eagerly for incorruption in bodies that are corruptible, and – what is unbearable for many to hear – they actually reach perfection through their works. and they stand firm in the furnace of physical desire without being signed, trampling on the hot coals as if they were clay. Chrysostom’s imagery about how strong sexual desire can be, leaves little doubt that he understood sexual drive and temptation. He does make it clear that some are able to overcome their sexual drive and actually control it. He says this is unbearable for some to hear – including those who can’t control themselves, those who don’t want to have to control themselves and those who think humans are merely animals and shouldn’t bother to control their powerful, natural drives. Many don’t want to hear about people who learn to control their animal instincts. For Chrysostom, the person who can control their sexual desires, especially those who remain virgins, are the height of human perfection. Today we have people who spend a great deal of time and energy to become perfect physical specimens of humanity – through exercise, dieting and other means. We rave about the physically beautiful (athletes and the sexually attractive). Chrysostom sees human perfection not in physical body sculpting but in learning to control one’s animal desires. He elevates those spiritual athletes to be the highest degree of humanity and the most desired of human beings. Humans are capable of making themselves physically beautiful and desirable, but Chrysostom following the Christian tradition thinks spiritual beauty is far more important to our desire to be fully human. not, however, daring to make this way of life mandatory, or to raise it to the level of a law, but instead, instituting the law of self-mortification. Is there anything that exists more burdensome than this? He has made it a commandment to bear one’s cross continually, and to do good to one’s enemies; but he has not made it a law to remain a virgin. What makes the willingness to control sexual impulse and virginity so special to Chrysostom is that it is completely voluntary. One chooses this way as a way of sacrifice and self-denial. For Christ does not command us to live as celibates and virgins. It is a way of life that one can choose in order to fulfill Christ’s words to deny the self and take up the cross to follow Him (Matthew 16:24). We don’t become fully human by engaging in all our animal instincts and desires. We become fully human when we realize we can rise above biological determinism and can develop our spiritual lives – and fulfill the Gospel law of love.